A 1930s steam locomotive, once used to pull the Royal Train, is back in action after a £150,000 overhaul. 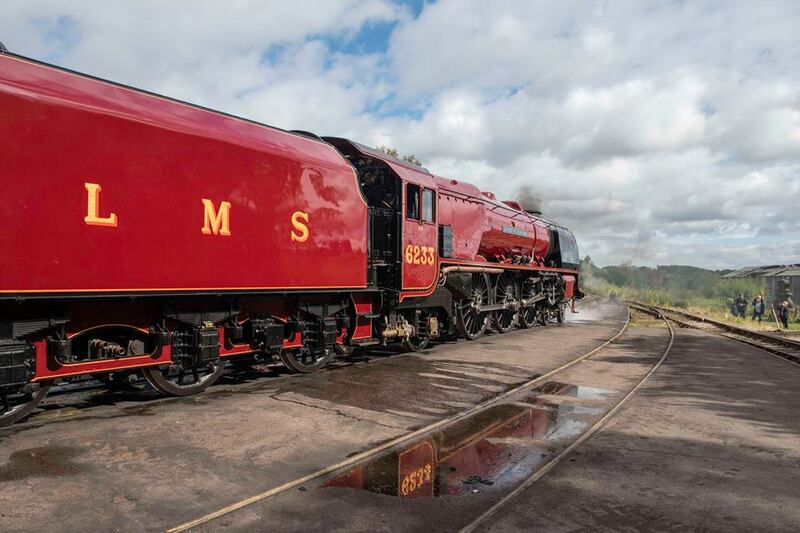 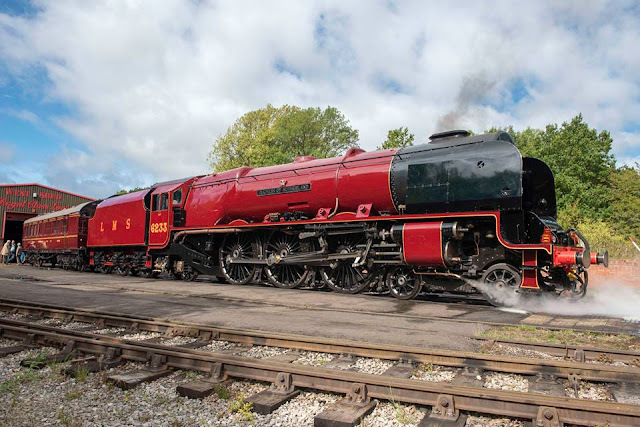 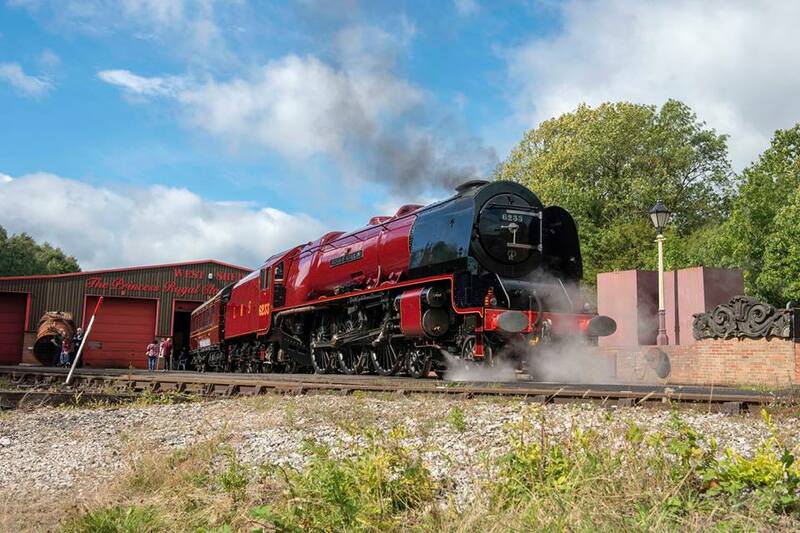 The 80-year-old Duchess of Sutherland, which has been repainted in its original crimson livery, left Swanwick Junction Station in Derbyshire en route to Kidderminster in Worcestershire. 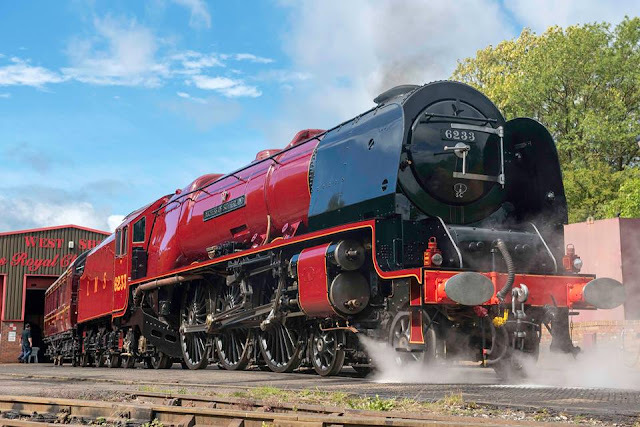 In 2002, it became the first steam locomotive to haul the Royal Train for 35 years when it transported the Queen as part of her Golden Jubilee. 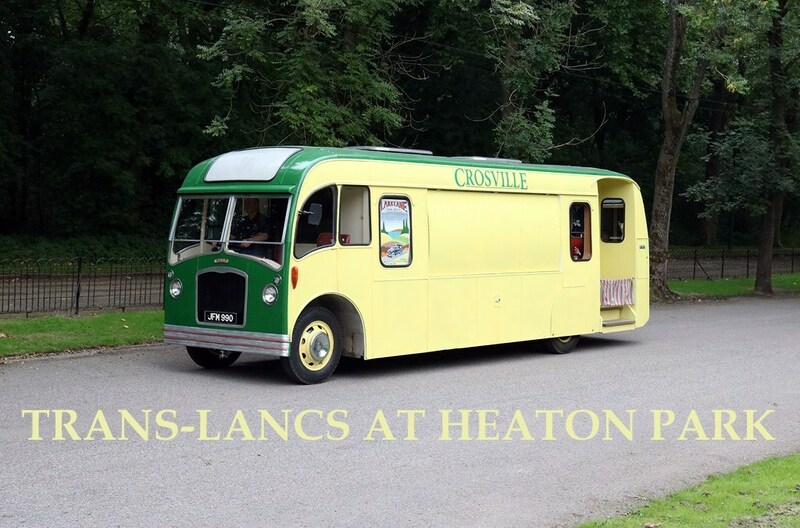 The engine is operated by The Princess Royal Class Locomotive Trust.